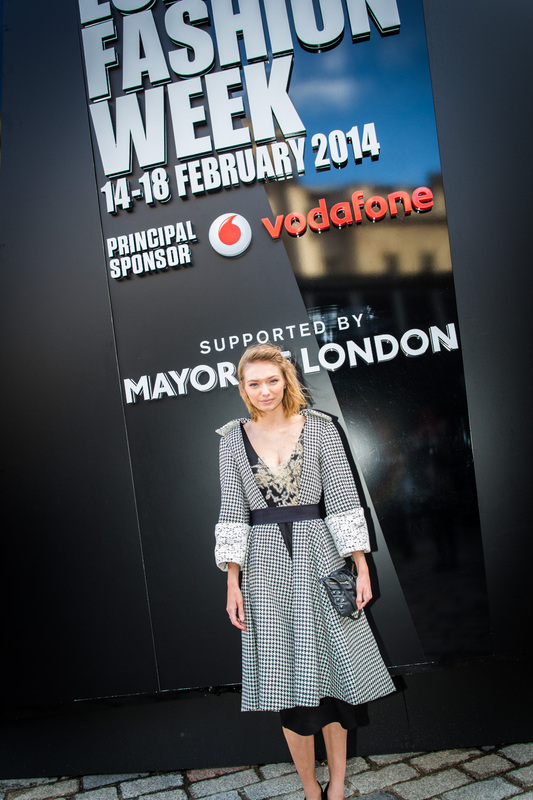 Here’s our wonderful WEG (work experience girl) Maddie to recount her first experience of London Fashion Week. And part 3 of my India blog, all about glorious Goa, on Ethical Hedonist is available here. The 14th of February was an important date in the Tammam team calendar this year, as well as being Valentine’s Day (and wedding day of lovely civil partnership Tammam Brides, Hannah and Karen) it also marked the beginning of London Fashion Week 2014. Given that Fashion Week only comes around twice a year the Tammam label took full advantage of the opportunity to share our newest couture designs from the latest collection. Friday evening was opening night for Fashion Week and our head designer Lucy and the studio’s “head of hand work” Natasha attended the BFCs; A Night of Fashion Film. They both looked incredible wearing Tammam couture. I was particularly excited that Lucy had the pleasure of meeting Caryn Franklin and took the opportunity to talk to her about the importance of traditional methods of craftsmanship in fashion. 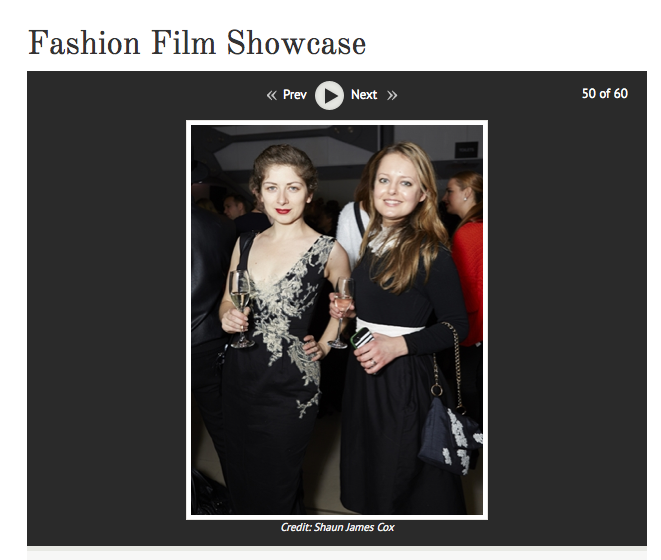 The same night, Hello fashion editor, Sophia Beddow, attended the Lancome BAFTA pre party wearing an Atelier Tammam bias cut peace silk gown with hand embroidery detail. beautiful in front of the camera. Eleanor has been dressed by Tammam before, wearing our luxury eco-couture designs to various red carpet events. 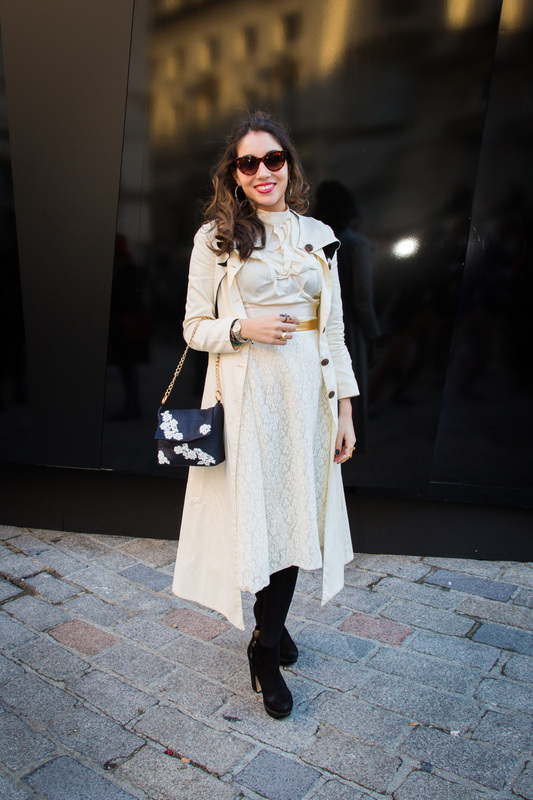 Eleanor and Fani accompanied the Tammam team to Somerset House, where photographers and press met them with an enthusiastic welcome. Heading on to the Fashion party bus and later the Estethcia reception. Eleanor wore a black organic fair trade cotton dress with gold French lace detailing, paired with an open fronted peace silk hound’s-tooth and British lace coat. Fani also looked fantastic, in an ivory British lace skirt, ruched top and black trim coat set off with a delicate gold belt all made by the House of Tammam. Accessorised with a Natasha Andreicheva for Atelier Tammam hand made mini satchel bag. 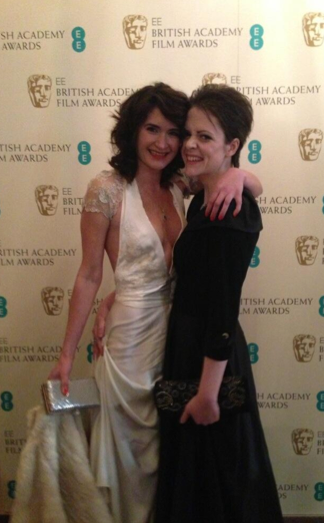 The great weekend of fashion continued in style, as BAFTA nominee Nat Luurtsema attended the awards (nominated for her short film Island Queen) on Sunday night looking incredible in a Tammam white peace silk crepe gown with hand made and British lace details. Finally to bring Fashion Week to a close on Monday night, Ecoluxe London hosted a sustainable fashion show. Atelier Tammam dressed top journalist Alison Jane Reid of Ethical Hedonist in a long peace silk organza gown with hand crafted waspie belt. Now that the Fashion Week rush has subsided, we are all extremely excited to get back into the studio to continue working on creating exquisite bespoke couture evening and bridal wear. I’m also working on planning a fabulous sale event; The final pieces of past Tammam ready to wear collections are going on sale with breathtaking reductions of up to 80% at our last ever pop up ethical designer fashion sample sale this weekend (27th February – 4th March). Tammam will be joined at the Atelier by a variety of London’s top sustainable fashion labels also offering fantastic discount and exclusive pieces. More details are available here and on the Time Out website. We are also hosting a private event on Thursday evening from 6-9pm, so you can shop, drink and socialise with a VIP crowd – let us know if you’d like to come on the 27th – RSVP@tammam.co.uk.